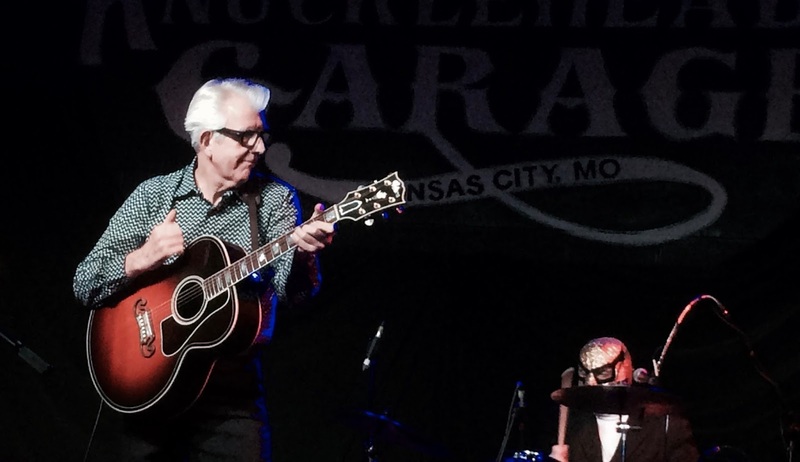 I had no intention of attending Nick Lowe’s concert at Knuckleheads when I woke up last Wednesday. My itch for nostalgia had been thoroughly sated at the previous week’s Janet Jackson’s concert. My life partner wasn’t having it. In an uncommon role reversal, she dragged me to see the Jesus of Cool. The opening salvo of “So It Goes,” “Ragin' Eyes” and “Without Love” compelled us to shimmy in front of the stage like it was 1987. The masked surf-rock ensemble Los Straitjackets, Lowe’s backing band, struck the proper balance between reverence and relevance. I’m pleased as punch that the bride still rock-and-rolls. The production at Arcade Fire’s appearance in Independence was the most impressive display I’ve encountered since Kanye West’s Yeezus tour touched down at the Sprint Center in 2013. 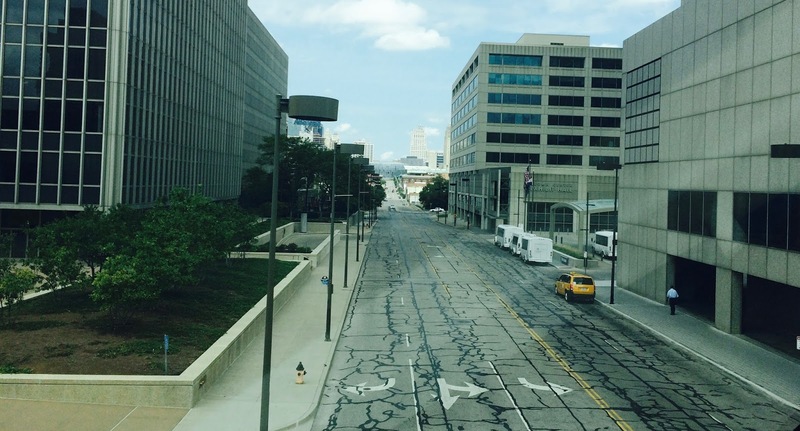 Here’s my review for The Kansas City Star. George Young, a genuine rock Zelig, has died. Many of his obituaries fail to mention his role in Flash and the Pan’s forgotten 1976 hit “Hey, St. Peter”. Martin Ain of Celtic Frost has died. I prefer Lee Ann Womack’s throwback country on The Lonely, the Lonesome & the Gone to Margo Price’s more progressive All American Made. Unconcerned with- and probably indifferent to- the current climate, Womack evokes dusty albums by the likes of Elvis Presley, Dolly Parton and Glen Campbell. 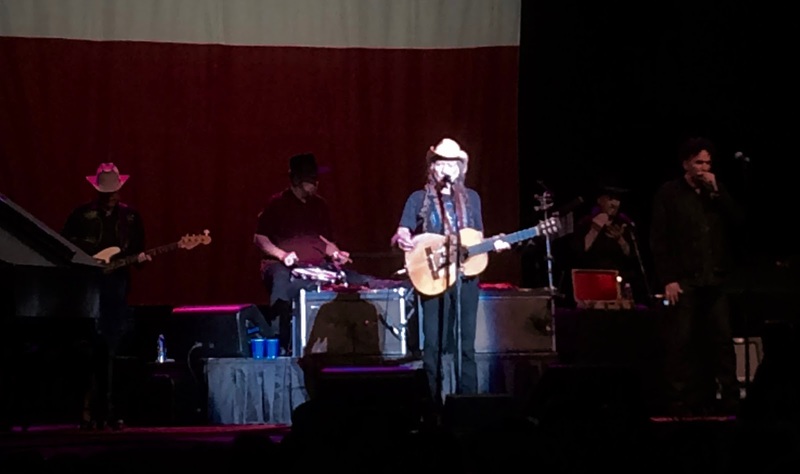 Price sounds as if she’s consciously competing with Sturgill Simpson and Chris Stapleton. Here are Womack’s “Sunday” and Price’s “Weakness”. Big K.R.I.T.’s 4eva Is A Mighty Long Time recalls the era in which the Dirty South ruled hip-hop. RIYL: T.I. country, Killer Mike. Here’s “Keep the Devil Off”. The rough-and-tumble blues-rock set by Cinderella’s Tom Keifer at Rockfest was one of the year’s most pleasant surprises. Although The Way Life Goes is substantially cleaner than the show in June, it still impresses me. Here’s the representative “The Way Life Goes”. Kim Wilson’s Blues and Boogie is wild-eyed barroom blues. 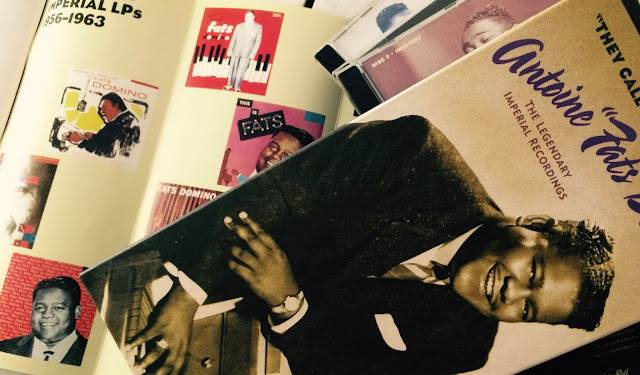 RIYL: James Cotton, carousing, Little Walter. Not surprisingly, I’m smitten by Agrima, the new album by Rudresh Mahanthappa and the Indo-Pak Coalition. I had a violently allergic reaction to Live in Montreal, a duet album by Edgar Castaneda and Hiromi. RIYL: leaf blowers, Friday Night in San Francisco, ostentatiousness. I’ll share an extremely unflattering anecdote as I note the passing of Fats Domino. I sat next to the noted New Orleans based music journalist Jeff Hannusch, the author of I Hear You Knockin: The Sound of New Orleans Rhythm and Blues, on a bus during a music industry convention in the 1990s. When the conversation inevitably turned to Domino, I told Jeff that I regretted my recent purchase of the icon’s four-CD, 100-song box set that includes his expansive liner notes. I explained that the single disc compilation I already owned was more than enough Fats for any reasonable person. I think Jeff might have quit talking to me. Not only was I a jerk, I was wrong. There could never be enough of the Fat Man’s seminal American music. I’ve partnered with the Green Lady Lounge to revive The Kansas City Jazz Calendar. I named Freight Train Rabbit Killer KCUR’s Band of the Week. My review of a performance by the Owen/Cox Dance Group and the People’s Liberation Big Band at Polsky Theatre is at Plastic Sax. Christian Scott aTunde Adjuah’s The Emancipation Procrastination may be the best of the three albums the polarizing jazz artist has issued in 2017. I’ve long been enamored of Chanté Moore. The Rise of the Phoenix is a delight. Here’s ”Something to Remember”. I lost my taste for Magnetic Fields somewhere along the way. I’m sure I’d admire a handful of songs on 50 Song Memoir, but I’m not willing to invest the time to find them. 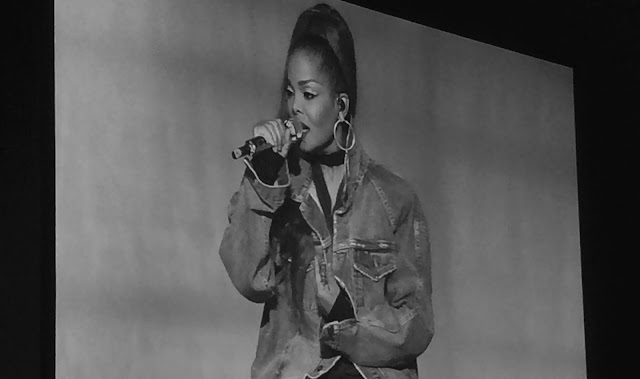 Curious pacing and lousy sound didn’t prevent me from thoroughly enjoying Janet Jackson’s appearance at the Sprint Center on Thursday. Frontloaded with most of her biggest hits, the concert often resembled a low-budget 1980s music video. We are a part of the rhythm nation. It may not have been the show I wanted, but it was the show I needed. Here’s Tim Finn’s review. I reviewed Queens of the Stone Age’s concert at Crossroads KC for The Kansas City Star. My review of Hudson’s concert at Yardley Hall is at Plastic Sax. I named Roman Numerals KCUR’s Band of the Week. Sign of the times: I listened to Memento Mori, the impressive new album by the Kansas City rapper Aaron Alexander, before I auditioned the Tech N9ne album that was also released last week. RIYL: J. Cole, potential, Schoolboy Q. Here’s ”Faces”. I hear St. Vincent’s Masseduction as an Adrian Belew-era King Crimson album. Here’s ”Los Ageless”. If Raymond Scott, Fats Waller and Frank Zappa collaborated on a Brazilian jazz album in a celestial afterlife, their collusion might sound something like Hermeto Pascoal’s kooky No Mudo dos Sons. Miley Cyrus has a magnificent voice and a free spirit. I won’t be surprised if her name eventually appears on one of my year-end album lists. Moments of Younger Now floor me, but most of the good ideas aren’t fully realized. RIYL: K.D. Lang, nice tries, Chris Isaak. ”Week Without You” is the album’s best song. Led Zeppelin’s legacy is enhanced by the high quality of each new solo endeavor by Robert Plant. Carry Fire is RIYL John Renbourn, aging gracefully, Fairport Convention. Here’s “The May Queen”. Marquise Knox’s live Black and Blue is a fine modern blues album. King Krule prattles like a dazed combination of Linton Kwesi Johnson, Allen Ginsberg and John Cooper Clarke on The Ooz. (That’s a compliment.) RIYL: sizzurp, DJ Screw, quaaludes. ”Half Man Half Shark” may be the album’s least interesting song. Oh snap! Every line of Alan Jackson’s new single ”The Older I Get” rings devastatingly true. I’ve taken a beating in 2017. Locally based rock musicians, rappers and jazz artists outraged by my criticism have repeatedly lashed out at me. That’s fair. If I dish it out, I have to be willing to endure the consequences. Partly because I’m the only critic in Kansas City who regularly writes candid reviews of the albums and performances of area musicians, my opinions are often met with howls of shocked indignation. Unlike peers who coddle the musicians who are their friends and neighbors, I gauge music by a single standard. 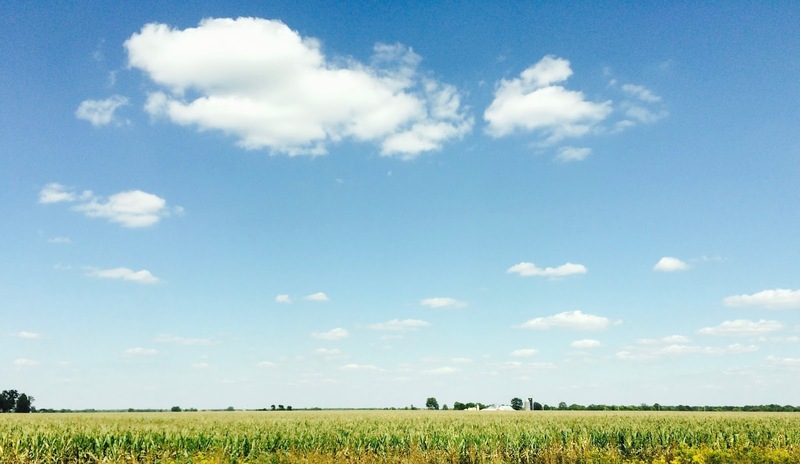 Using different metrics for locally based musicians would be disrespectful and condescending. Yet I can’t cite a recent instance of another local observer who has publicly applied a censorious analysis to the music of a Kansas City artist. Not only does unrelentingly breathless praise quickly become meaningless, the lack of objectivity has dire consequences. When almost all of the coverage in an artist’s home market consists solely of rave reviews, there’s less incentive for improvement. Aside from the rapper Tech N9ne, the blues-rock artist Samantha Fish, the pop-oriented Kawehi and the classical ensembles the Kansas City Chorale and the Kansas City Symphony, no locally based act has achieved a substantial national following during the last ten years. A handful of other artists have had minor hits and/or prestigious label deals, but precious few are presently capable of attracting audiences of 250 or more in Chicago, Houston, Los Angeles or New York. There’s a direct correlation between the dearth of frank criticism and the scarcity of Kansas City artists successfully competing at the national level. I hope to see more truth-telling and less cheerleading in 2018. Until then, I’ll resign myself to being perceived as a lone villain. Lecrae isn’t my favorite Christian rapper. That’d be Kanye West. Kendrick Lamar and Chance the Rapper are right behind him on my list. Unlike those artists, Lecrae is burdened with the cumbersome label. Yet all four rappers address the ways in which their faith influences their perspectives on matters including race and social justice. 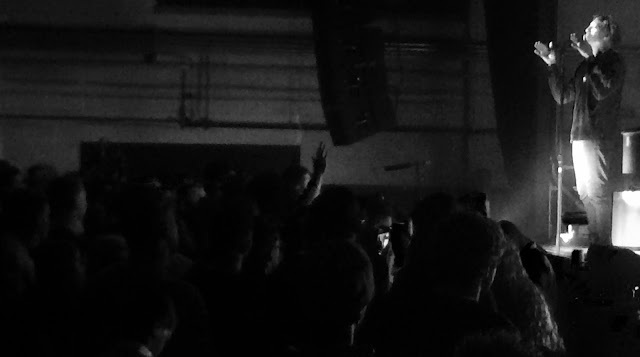 Lecrae practically dared the approximately 600 white members of the audience of about 1,000 to walk out of his show at the Truman on Saturday. In a prologue to “Facts”,” a confrontational song about the separation he feels from his white Christians fans, Lecrae explained that they can’t possibly understand the challenges associated with being black in America. I didn’t see anyone leave. Lecrae has already been shunned by listeners who didn’t appreciate his embrace of the Black Lives Matter movement and the secular creep in his hip-hop. He drew more than 5,000 people to a sold-out concert in Independence three years ago (my review for The Kansas City Star). Saturday’s dramatically reduced audience consisted of diehard fans. Accompanied by four musicians and two dancers, Lecrae featured songs from his new album All Things Work Together. Their renditions of ”I’ll Find You”, ”Blessings” and ”Hammer Time”- songs that struck me as overly commercial when I first listened to the project- made the selections seem profound. I don’t intend to walk out on Lecrae anytime soon. I reviewed Molly Hammer’s debut album at Plastic Sax. I named Wick & the Tricks KCUR’s Band of the Week. The jazz vocalist and drummer Grady Tate has died. Kelela’s Take Me Apart is the latest in an extensive list of acclaimed art-oriented (ostensibly) R&B albums released in 2017 that fail to move me. Among the other notable offenders: Sampha’s Process, Ibayi’s Ash and Moses Sumney’s Aromanticism. I call shenanigans. These unbearably pretentious emperors and empresses have no clothes. An in-store performance by JD McPherson and his band at Vinyl Renaissance floored me a couple weeks ago. I hadn’t grasped that the group was truly exceptional. The passion and the craftsmanship of the musicians make most of the ballyhooed garage-rock bands signed to Burger Records seem like chumps. ”Lucky Penny” may be the weakest song on the new album Undivided Heart & Soul. The Afghan Whigs’ In Spades is a whiskey-soaked fever dream. RIYL: Nick Cave, rock and roll ghosts, Phil Spector. Here’s the flesh-filled video for ”Oriole”. Baby Talk, a document from a 2015 meeting between The Thing and James “Blood” Ulmer, is skronk heaven. Ignore Carla Bruni’s backstory and baggage- her imaginative French Touch is an entirely charming novelty album. Here’s ”Miss You”. Setembro, a hushed Euro-jazz album by Mario Laginha, Julian Argüelles and Helge Andreas Norbakken, is infuriatingly docile. Johnny O’Neal’s In the Moment makes the lush life seem so appealing that I’m fighting the urge to put on a suit, make a beeline for the nearest piano bar and drink until I fall off a barstool. The album’s EPK is engaging, but it doesn’t touch on O’Neal’s health struggles or the sense of wistfulness that permeates the project. I draw strength and inspiration from Marvin Sapp’s Close. Here’s the title track. To paraphrase Waylon Jennings’ 1977 hit, I was raised on Hank Williams' pain songs, Mickey Newberry's train songs and “Blue Eyes Crying in the Rain.” Willie Nelson has been a more integral part of my life than any other musician. He and I have both changed considerably through the decades. During renditions of “Nuages” and “Funny How Time Slips Away” on Wednesday, the icon and I might have been the only people at Starlight Theatre who believed they were at a jazz concert. Nelson’s vocal phrasing and guitar technique were squarely in the tradition of Louis Armstrong, Django Reinhardt and Billie Holiday. I realize it sounds odd, but Nelson is one of my favorite jazz artists. I named the Sextet KCUR’s Band of the Week. El Factor, Rich the Factor’s third album of 2017, further confirms what I tell anyone willing to listen to my ranting- the rapper is Kansas City’s most consequential musician. Blues man CeDell Davis has died. If I were to host a formal cocktail party, I’d make Dee Dee Bridgewater’s covers collection Memphis… Yes, I’m Ready a central part of the playlist. RIYL: Otis Redding, sophisticated soul, Ann Peebles. Our Point of View, a new release by an ensemble appropriately billed as the Blue Note Records All-Stars, is much more than a generic jam session. RIYL: Ambrose Akinmusire, up-to-the-minute jazz, Robert Glasper. Here’s ”Second Light”. Considering he’s imprisoned, Kevin Gates’ By Any Means 2 is more than adequate. Here’s “Why I”. Sweet Pea Atkinson’s Get What You Deserve is at the center of my wheelhouse. RIYL: Bobby “Blue Bland, self-aware soul, Bobby Womack. Ladilikan, a collaboration between the Kronos Quartet and Trio Da Kali, is a few notches too delicate for me. Jonas Kaufmann is transcendent on L’Opéra. The music of Tom Petty and the Heartbreakers was so incongruous in the late 1970s that a record store in the Crown Center shops in Kansas City filed the group’s 1976 self-titled album and 1978’s You’re Gonna Get It! in its “new wave” section. The mislabeling was somewhat understandable. When played alongside the polished likes of Foreigner’s “Cold as Ice” on commercial rock radio stations, the rough-and-tumble “Breakdown” sounded entirely alien. I glibly dismissed opera as a teenager. When people asked me what types of music I liked, I’d respond by saying “everything but opera.” The ignorant retort was based on my perception of opera as a bastion of privilege. I didn’t actually attend an opera until about 15 years ago. I’ve since begun listening to arias for pleasure, a development partly inspired by my interest in the dramatic rise to stardom of Joyce DiDonato, a fellow Kansan. 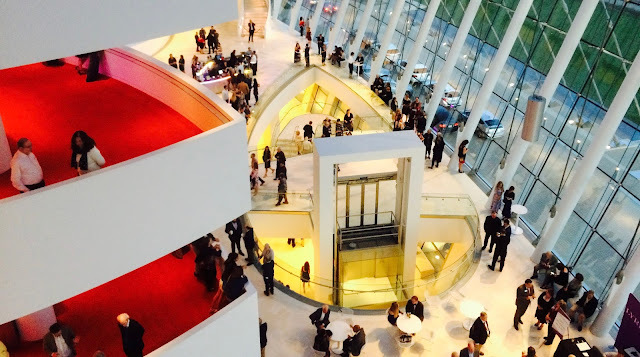 I spent $39 (plus the Kauffman Center for the Performing Arts’ regressive $6.50 add-on fee) for an upper balcony seat to the Lyric Opera of Kansas City’s production of Pyotr Ilyich Tchaikovsky’s “Eugene Onegin” on Saturday. Spending big money to take in a glacially-paced three-hour Russian opera isn’t everyone’s idea of a solid Saturday night, a truth reflected by the spotty attendance. A third of the seats in Muriel Kauffman Theatre were empty, a bad look for an opening night. I would have adored almost every minute of the opera even if I didn’t have an entire row to myself. The stellar performance of the Kansas City Symphony under the direction of Ari Pelto kept me riveted even when the flimsy plot dragged. It didn’t hurt that I was smitten by Raquel González. She was radiant in the role of Tatyana. I also admired Steven Cole’s cameo as Monsieur Triquet and Jane Bunnell’s portrayal of Filipyevna. The subtle lighting, sublime special effects and handsome sets transported me to Russia, a bewitchment that was broken by the heedless chatter just outside the theater doors that disrupted quiet segments of all three acts. Nyet, nyet, nyet! I reviewed the Sextet’s new album Blob Castle at Plastic Sax. I’m a sucker for the Floozies’ unrepentantly dim-witted party jams. Funk Jesus is RIYL sunshine, EOTO, beer bongs. Mastodon’s output just sounds better than most hard rock/heavy metal recordings. The new four-song EP Cold Dark Place is RIYL Blizzard of Ozz, pomp, Diary of a Madman. Here’s the title track. Not every reissue of vintage Afropop is worthwhile. Vincent Ahehehinnou’s Best Woman seems like a desultory rehearsal. Kamasi Washington’s 31-minute Harmony of Difference is a digestible cosmic jazz document. ”Truth” is the longest track. “There’s a Flaw in My Flue”! I finally got around to listening to Bob Dylan’s Triplicate. He’s clearly trolling, and I love it anyway.